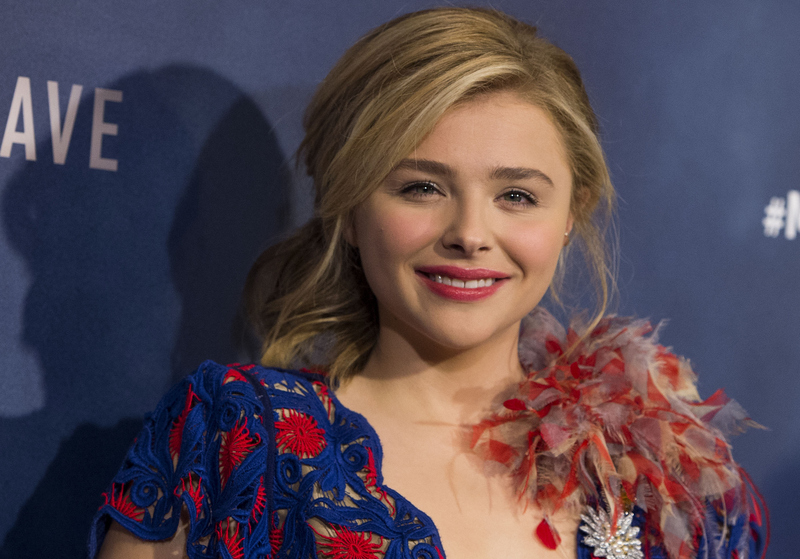 She's only 19 years old, but Chloë Grace Moretz is seriously impressive both on and offscreen. In addition to starring in films like The 5th Wave, If I Stay, and Carrie, she's already an outspoken feminist activist. She recently told Nylon that she's been a proud feminist since birth and her definition of feminism was wise and spot-on: "I think feminism is about strong women being who they want to be and fighting for equality on all accounts. It’s not about men being demolished to bring women higher up in the world." But, Chloë Grace Moretz graciously declined to join Taylor Swift's squad and her reasons for doing so make a lot of sense. While there's certainly a lot to be said for being surrounded by a close group of friends, Moretz told Complex that she declined the invite. And while she didn't elaborate on Swift's group in particular, she did tell the magazine that "[Squads] appropriate exclusivity. They’re cliques!” She's not the first one to draw the parallels between a squad and clique mentality, but there's no denying that joining Swift's squad would have upped her level of fame, so it's great to see that she's sticking to what she believes in. Moretz was quick to emphasize that Swift is "a very talented person" and she certainly didn't badmouth her — she just made clear that the squad isn't really her jam and she's focused on other feminist issues. In the same interview, Moretz was eager to provide examples of why she supports Hillary Clinton and her policies and she emphasized that her view of feminism is broad: "[Feminism's] about equality — and it’s not just about women being powerful... It’s about races being powerful; genders being powerful.” Her intersectional understanding of feminism is refreshing and so important to hear. Moretz has set a great example for all the young girls who look up to her. Of course, there's not one "correct" way to be a feminist and I applaud Moretz for turning down the squad in a classy manner without accusing Swift of being a "bad feminist." Although I, too, have concerns about the squad's cliquish connotations, I certainly appreciate that Swift has spoken out about her feminist awakening — especially since we live in a world where so many people think that feminism is an "alienating" term. But, it says a lot about Moretz that she'd rather do her own thing than join a group that she's not entirely comfortable with. Her independence and activism are both admirable and inspiring. She's only 19, but something tells me she's going to do a lot of amazing things in the future.